So there we have it! After as dramatic a World Cup as we've seen in living memory, France and Croatia are the two teams left standing on July 15th at the Luzhniki Stadium. We're left with an intriguing World Cup final between arguably the two best sides in the competition, and not to forget England and Belgium's third and fourth place playoff on Saturday after both sides fell narrowly short in their World Cup semi finals. Leeds and Ireland legend John Giles has been following the tournament with us from start to (almost) finish and he joined Nathan Murphy as always on a Thursday to discuss the semi finals and look ahead to Sunday's showpiece decider. 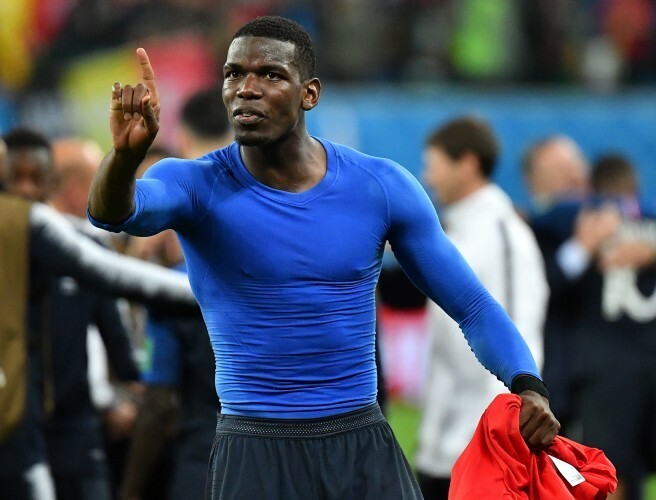 John feels Paul Pogba will be decisive, one way or another, tipping France to win the World Cup if the Manchester United midfielder played like he did in the semi final rather than in some of his less illustrious performances and also if he ditches the social media. "If he does his stuff like he did the other day - and hopefully the penny's dropped and maybe Deschamps has got onto him," said John, also praising the positives and positional discipline shown by Pogba against Belgium defensively and offensively. "If he plays the way he can play the other night, Kante and him will be better than or as good as Modric and Rakitic. If they can match them, definitely France have the better all round players. "I would make France firm favourites if he's doing that along with Kante." John also showered Luka Modric and N'Golo Kante with praise, pointing out that England's main problem was not having a midfielder like the Croatian, while he feels the France midfielder is "terrific" in his role.